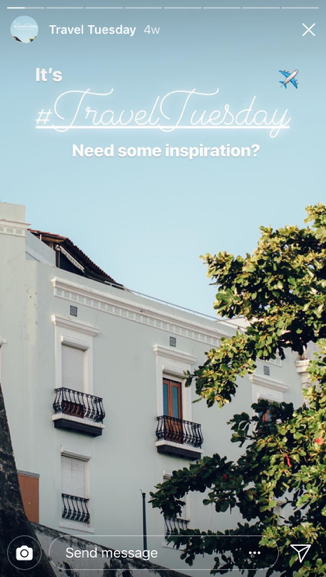 Airbnb launched their very own, very original, Travel Tuesday series on their Instagram Story. This Story series not only displays bucket list-worthy travel destinations, but also includes interactive polls. The series provides Airbnb’s followers with travel inspiration, and viewers are asked to guess the destination in the Story. When the destination is revealed, viewers are able to “swipe up” and head directly to a web page where they can plan and book their dream vacation in the featured location. 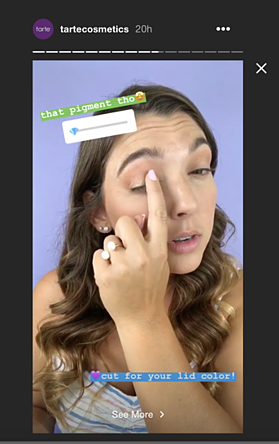 From their posts, it’s obvious Glossier knows Instagram Stories play a huge role in how they connect with their 1.3 million followers. 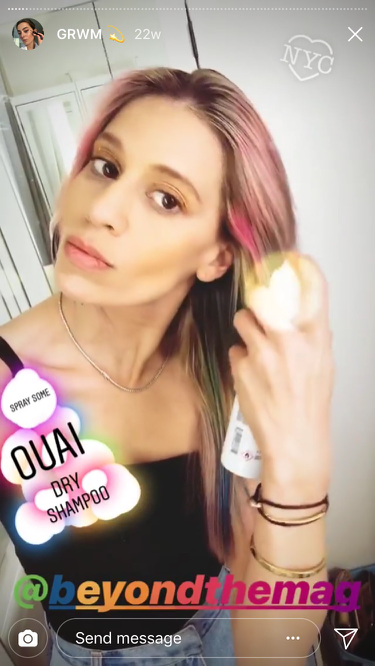 The successful beauty brand posts multiple Stories daily, advertising products and the brand itself. 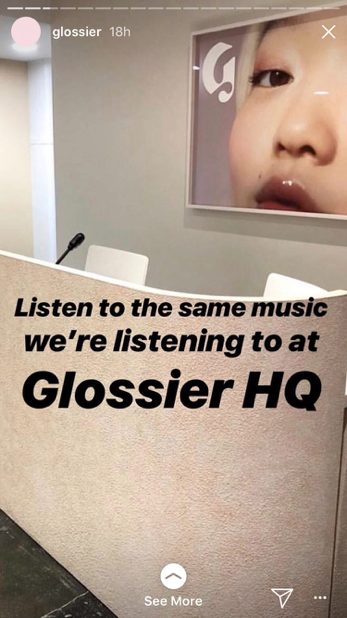 Glossier doesn’t just post about their newest lip glosses; the brand also posts what the team is up to at the Glossier Headquarters. This adds authenticity to the brand and increases the trust between consumers and the brand. 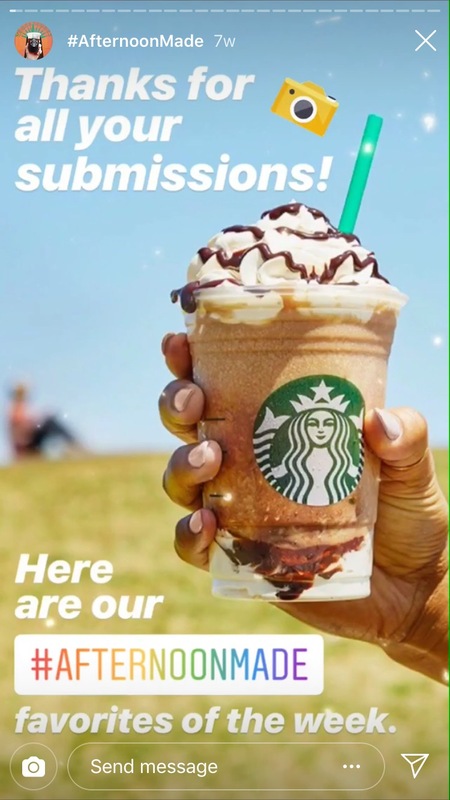 Starbucks uses hashtags and user-generated content in their Stories to engage their 16.7 million followers. 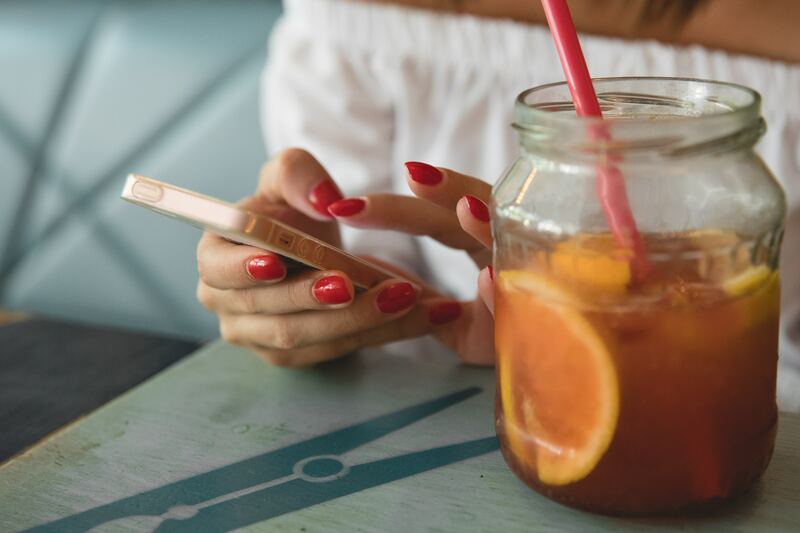 For example, the company uses a hashtag – #AfternoonMade – to showcase their drinks and promote their followers’ content. 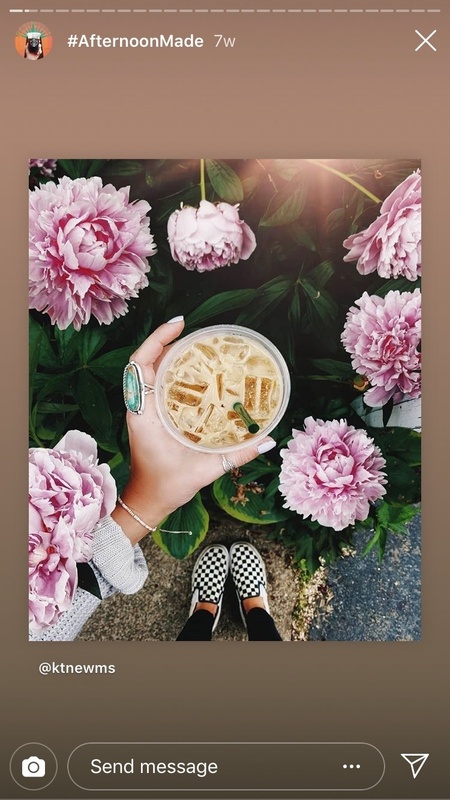 Starbucks found users who posted their favorite afternoon pick-me-up drinks with the hashtag and then posted the users’ content on Starbucks’ Instagram Story. 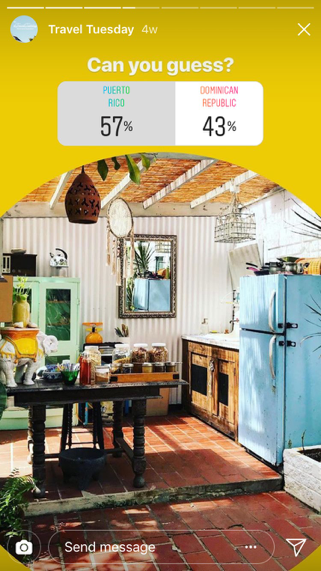 User-generated content allows followers to feel a more organic connection with the company and allows the company to post original photos on its story. 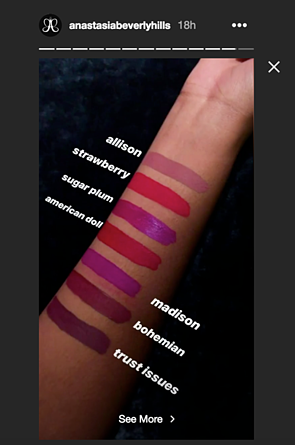 Tarte uses influencers and beauty bloggers for Instagram Stories and Story polls to showcase new stock and other goodies. The brand created a unique ‘Get Ready With Me’ series starring influencers who were strategically picked based on their current Instagram following. The series is made up of short tutorials featuring Tarte palettes to show their 8.2 million followers how easy it is to use the products. To reach a larger audience, Tarte even includes bilingual beauty bloggers to showcase products in Spanish. With 1.9 million followers, J. Crew posts Instagram Stories daily. They know that consistency is the best way to keep followers engaged. To launch a new product, J. Crew hosted a “Fashion Forward Pre-Sale” via Instagram Stories. The sale included only 50 pairs of the company’s new rose-colored sunglasses. The limited time offer shocked followers and gave them a sense of urgency to take advantage of the sale immediately. Focusing mostly on pop culture, this media company knows what their audience wants to see. Having mastered Instagram Stories, Vice follows around famous artists while promoting their own content. 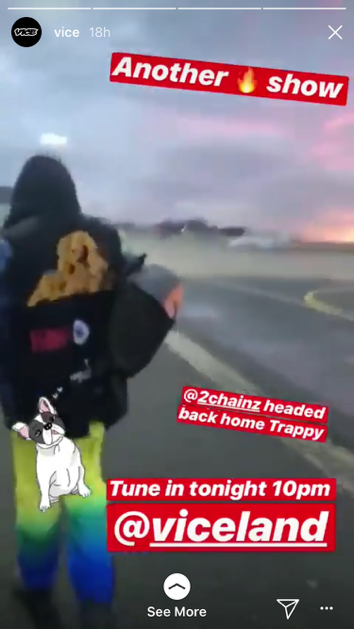 On their Instagram Story, Vice will show their friendship with hit artists, and then slip in an ad for the company’s television channel. 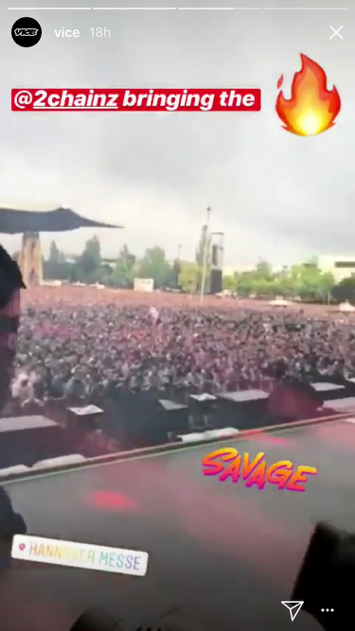 This shows followers that not only can they see unique content like what it’s like to be on stage with top rappers through Vice, but if they “swipe up,” they can see even more cutting edge content on the company’s TV station. When it comes to Instagram Stories, Benefit Cosmetics features it all. Using beauty bloggers, influencers, giveaways, new product promotion and polls, this beauty brand has mastered the balance between organic content and paid ads. 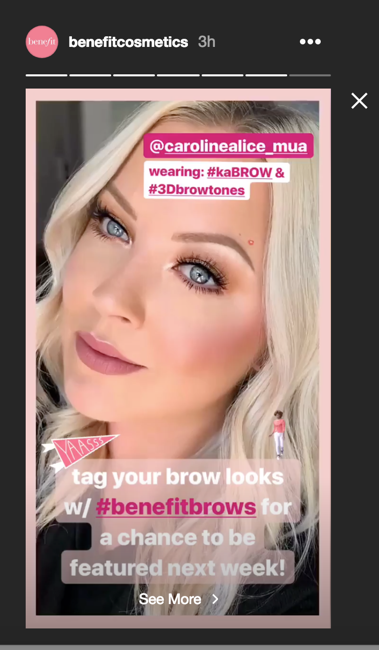 By showcasing customers who have used Benefit Cosmetics on their Story, the brand gives exposure to both new and old products. 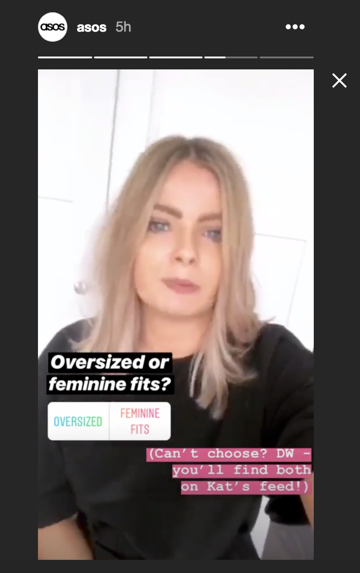 The haircare brand uses Instagram Stories titled “GRWM” (Get Ready With Me) as virtual classrooms to show followers how to use the products and how well they really work. They make sure the tutorials do not look too staged, and they show their followers the real processes that go into using the hair products - making the content relatable and easy to follow. 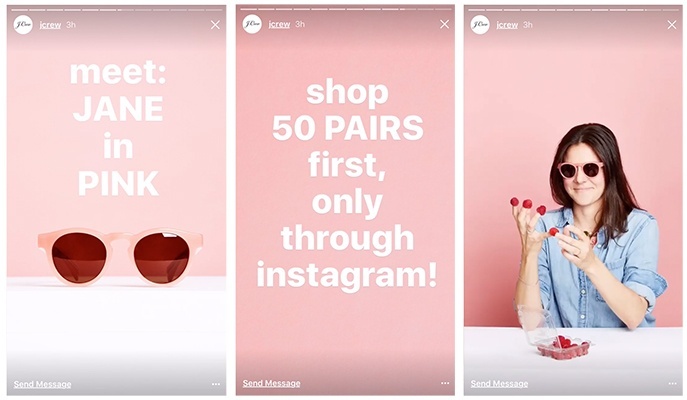 Last year, Asos became one of the first businesses to launch a campaign using Instagram Stories. 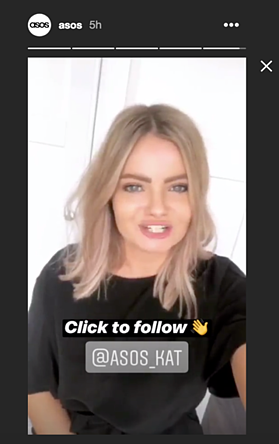 Their Instagram Stories feature influencers known as ‘Asos Insiders’ using the brand’s products in unique ways. For example, instead of merely posting an announcement with a generic photo, Asos used a plus size model to bring awareness to the brand’s plus size line. Asos uses their Instagram Stories as a great tool to feature diversity and not just for pushing sales. 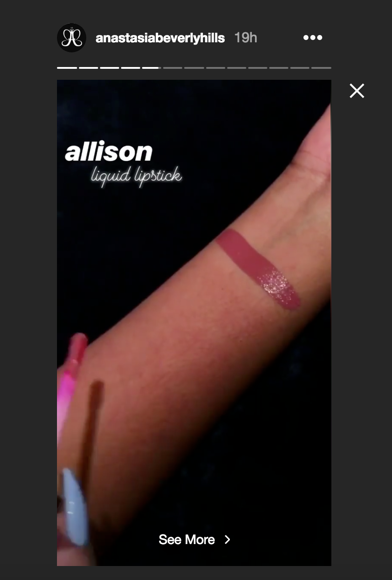 Anastasia Beverly Hills is famous for exciting their audience about new products via Instagram Stories. With over 17 million followers, Anastasia Beverly Hills regularly posts Stories to let followers know when new products are released. 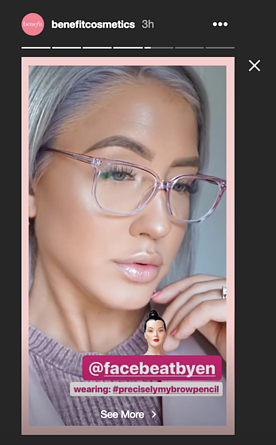 Posting multiple stories a day (10-15), the beauty brand knows that constantly reminding followers about products is the best way to stay on top of the competition. Instagram Stories is an amazing feature that helps expand the creative possibilities for brands posting on Instagram. Are you ready to use Instagram to extend your brand’s reach and work with influencers? Contact Statusphere to learn how we can help!